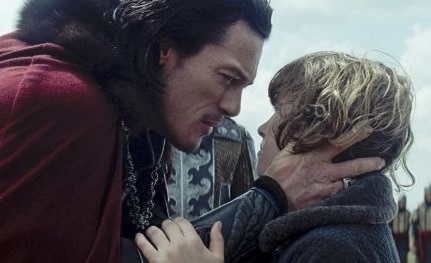 If there is a lesson I have learned from watching Dracula Untold, it is this: never watch a movie simply because you find the main actor physically, erm, compelling. It usually ends up in disaster. 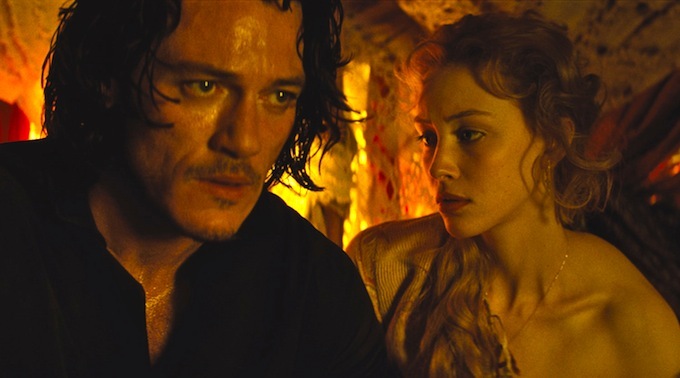 To be fair, though, I didn’t have high expectations before watching Dracula Untold. As I had been informed, it was set to become part of a Universal Monsterverse, something I honestly hope will never happen, because there is no way anything good can come out of that. Anyway, let’s talk about this movie! Like every film with the word “Dracula” in it, the story revolves around Prince Vlad Tepes, Vlad the Impaler or whatever you want to call him. Usually, these movies give us a glimpse of his human life before fast-forwarding into the present day, or Victorian times (Guy Ritchie’s Sherlock times, as I like to call them) or any period the director chooses. On this occasion, the plot is all about Vlad’s time as a human, with his wife and kid, telling us the story of how he ended up becoming the spookiest vampire of all time (spoiler alert: Tywin Lannister tricked him). This Dracula, however, is not a lonely, creepy man. No, this version is an angry-eyed hunk with the looks of Luke Evansss (that’s what I like to call him). Because as of late all I have been wanting is for Bard the Bowman to marry me and do unmentionable stuff, this seemed like a nice film to watch in my week-long winter flu, so perhaps I should blame my illness. Because here is the thing: at many different points I almost fell asleep. It has entertaining parts, but for most of the movie I couldn’t keep my eyes open (should we blame medicines?). As soon as the film begins, some Turks attack Vlad’s lands and the whole 80 minutes (yes) are about this “war”, with Evanssss meeting creepy Charles “Tywin” Dance at some point, getting all the vampire powers from him, etcetera, etcetera. So it is not the best vampire film I have seen in my life and not the worst either, but it wasn’t exactly a highlight. And it took me half the movie to realise that the Turk king was Dominic Cooper. What was that. Please someone explain this to me and let’s all sign an online petition to find Cooper a good, suitable movie role that doesn’t involve eyeliner and sun spray tanning. (Because every single one of my posts should have a GIF of Rocket Racoon). Hahahah thanks! I love it when my reviews make people laugh! !